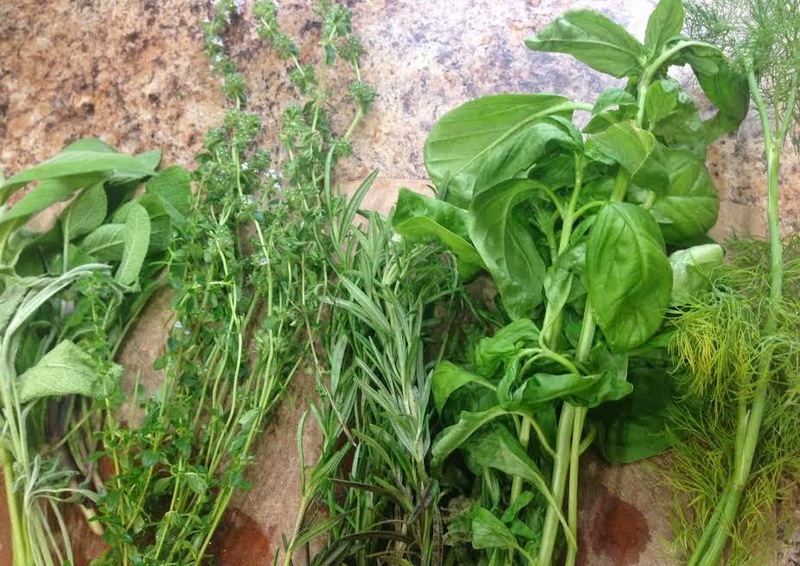 Before we went on our trip, Eric's Dad sent us home with a big pile of fresh herbs from his garden. 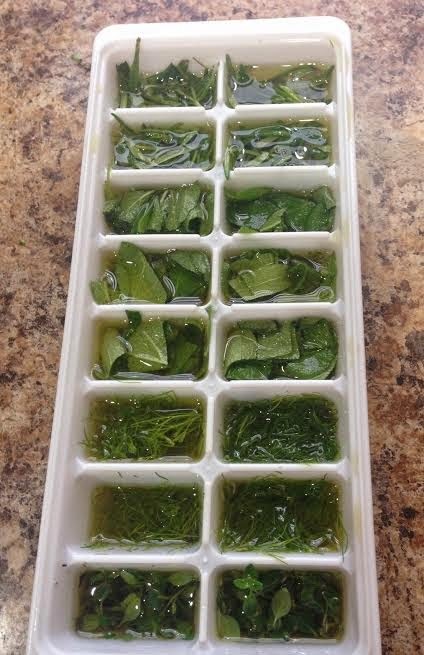 Knowing that we wouldn't have time to use or dry them before we left, I quickly Googled how to freeze herbs and found the idea of preserving them in olive oil over at The Kitchn. I chopped the herbs and placed about 2 tsp. of each one in an ice cube tray. 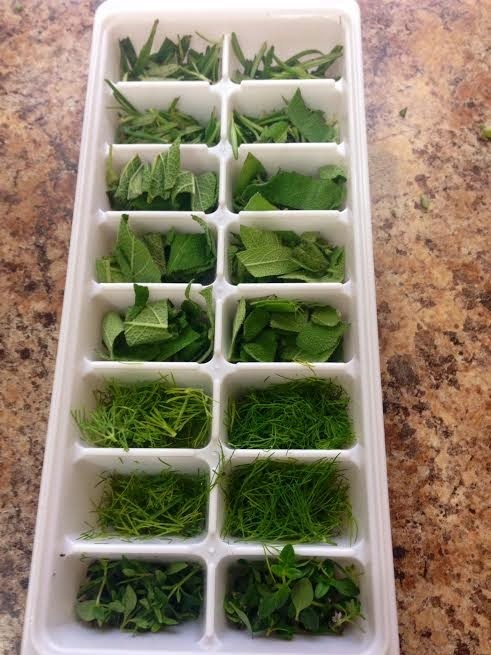 I poured enough oil over to cover the herbs and froze them for a few hours. 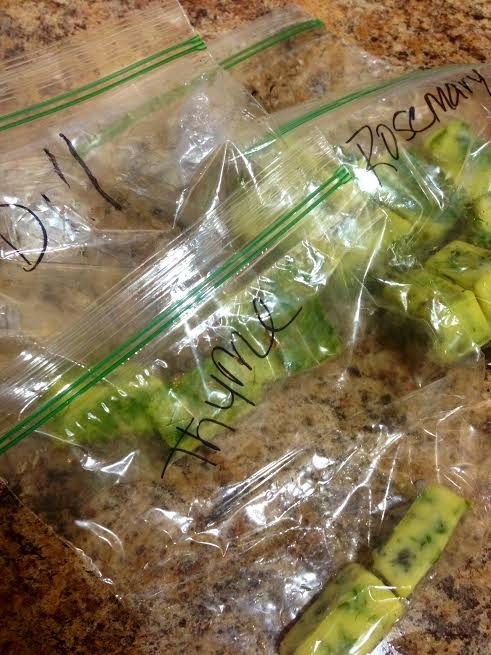 Once they were solid, I popped them out of the ice cube trays and into labelled freezer bags. this is perfect! I was wondering what to do with all my "extra" herbs! thank you!